Dyslexia is a language-based learning disability and it is when an individual experiences difficulties with their language skills such as reading, writing, and pronouncing words. Dyslexia can be passed down in the family or due to brain anatomy differences. With regards to brain imaging studies, people with dyslexia have differences in their brain. Specifically, people with dyslexia have differences in their brain portion responsible for their key reading skills. This affects how sounds are represented in words, and it makes it difficult to recognize written words. Symptoms of dyslexia include difficulties learning to speak, learning letters and their sounds, organizing written and spoken language, memorizing number facts, reading quickly, spelling, learning a foreign language, and completing math operations. Individuals with dyslexia may experience difficulties with spoken language, such as having a hard time expressing themselves. A common struggle amongst children with dyslexia is that they have trouble decoding words, meaning that they are challenged when matching letters to sounds. This makes it difficult to read words accurately and fluently. A potential sign that achild has dyslexia is if they avoid reading both out loud or to themselves. They may also get frustrated or anxious when reading. To test someone for dyslexia, intellectual and academic tests are completed as well as assessing their critical underlying language skills. There are several professionals who can assess children with dyslexia such as psychologists and pediatric neuropsychologists. A psychologist will also look for other issues thatmay be interfering with a child’s learning, such as ADHD. They will also study the child’s family history to see if dyslexiaruns in the family and can be genetically passed down. Other professionals include reading specialists and speech-language pathologists who can help improve learning and reading. If your child is struggling with reading or writing it is important to get them diagnosed. If they are diagnosed with dyslexia, there are many qualified specialists who can help your child cope with their dyslexia and improve their reading and writing skills. For patients with dyslexia, they would likely qualify under the disability section entitled speaking impairments. Either a medical doctor or a speech language pathologist is suitable for filling out this disability tax credit form. You are considered markedly restricted in speaking if at least 90% of the time you are unable to speak or it takes you an inordinate amount of time to speak. An inordinate amount of time means that it takes three times the normal time an average individual would take to speak. For those with dyslexia, it may take them significantly longer to communicate with others as many individuals with dyslexia struggle with spoken language and expressing themselves. 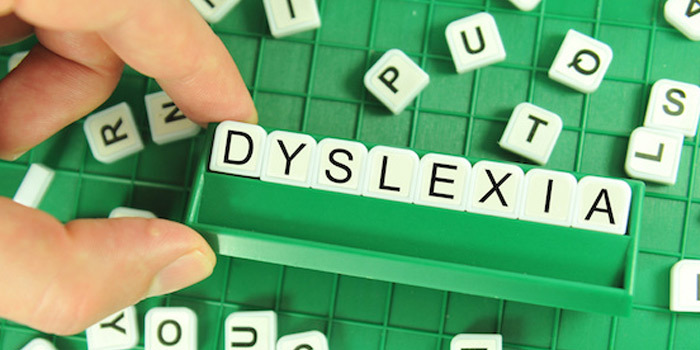 How To Apply for Disability Tax Credit for Dyslexia?